The bell tower of Peribleptos monastery in Mystras. 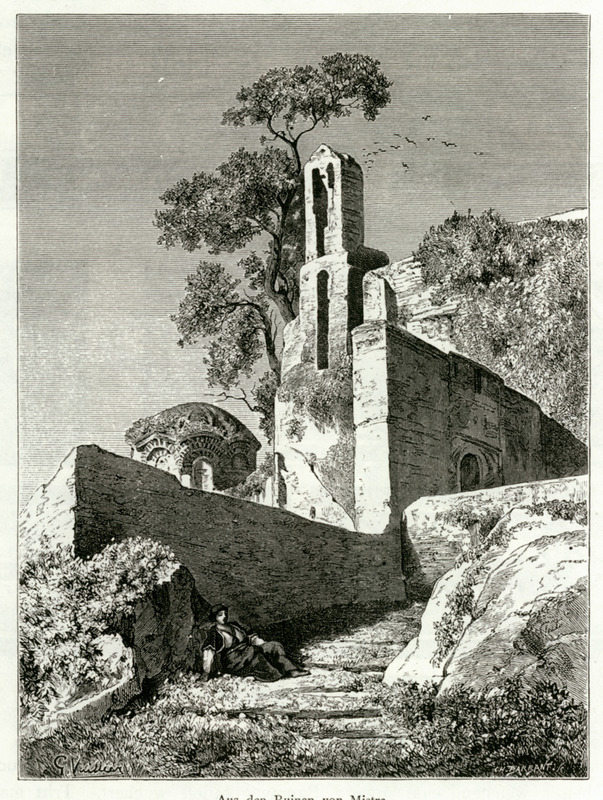 The monastery of Peribleptos in Mystras. 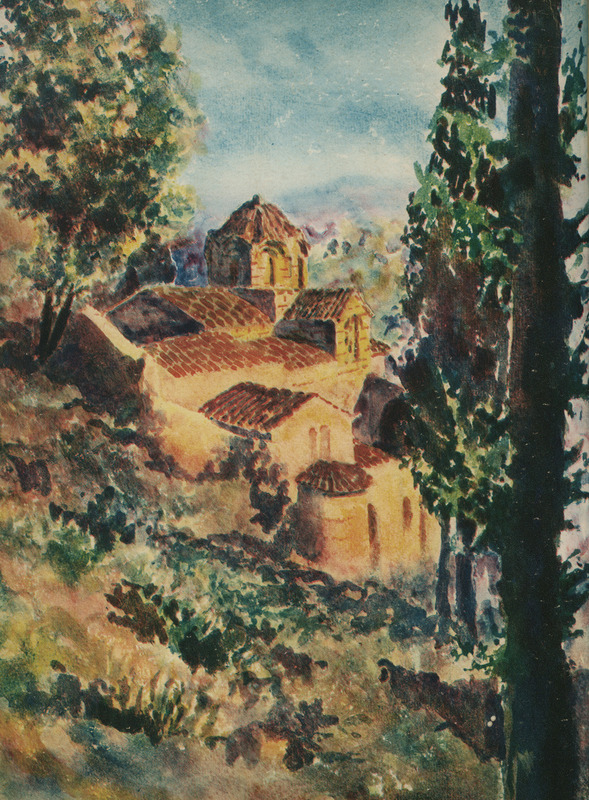 View of the monastery of Peribleptos in Mystras.